There are certain ways to freeze potatoes, but you need to bear in mind that cooked potatoes are always easier to freeze. You can try freezing raw potatoes but you may get mixed results because they sometimes develop a grainy or watery texture during freezing. It means that if you are going to free dishes that have unbaked potatoes, you will be better off taking off those potatoes and add fresh ones later. It is important to store raw potatoes in a cool, dark place and never put them in your refrigerator. Once frozen, you can use potatoes within a couple of months. Keep reading to learn more about how to freeze potatoes in the right way. Buy potatoes carefully: When you want to freeze potatoes, the first step is to ensure that you buy the best ones. Buy them at the peak of their growing season. Ensure they are all fresh and have fewer bruises with no sprouts. 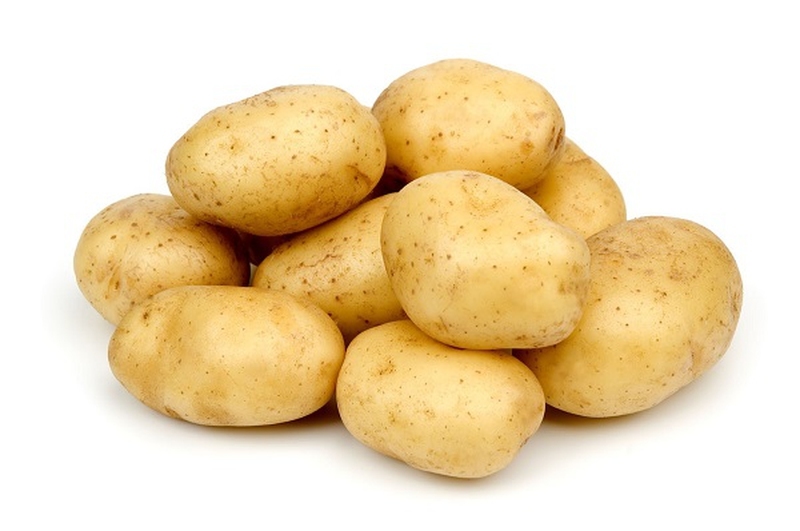 Wash potatoes properly: Clean any dirt or debris on potatoes. You can use a stiff-bristled brush for this purpose. Peel the potatoes: Once washed, you can now peel the potatoes using a peeler. You can even scrape them off and then rinse them. Now, they are ready for blanching. Be sure to chop large potatoes before blanching. Prepare the bowl: Take a large bowl or pot and fill it up with water. Now, boil it over high heat. Also, get a bowl filled with ice water. Add the potatoes in the water: Put them all into the boiling water and let them to blanch for 3-4 minutes. This ensures that there remains no organism on potatoes. Take them out of the pot: Now, remove the potatoes and put them in the ice water. You can use a slotted spoon or something else to transfer potatoes directly from hot water to the water. Let them sit there for 10 minutes or so. Take them out and pat them dry. Pack them in storage bags: You will need airtight storage bags for this purpose; a freezer-safe container will work just fine. Just ensure that the potatoes are completely dry before you put them the bags. Store them in the freezer; they will be usable up to a year. Simply peel and cut the potatoes into 1-inch cube and simmer them in salted water. Leave until they become tender. Spray a pan using non-stick cooking oil. Take all the cooked potatoes and spread them in a single layer on the sheet pan. Put it in the freezer and take out when they are frozen solidly. Take those frozen potatoes out of the freezer and put them in the freezer bags or airtight containers. Simply take them out and reheat in simmering water for use. Follow the steps below for how to freeze potatoes if you want to use them in shredded potato recipes. Shred the potatoes and put them in a bowl of iced water. Drain the ice water after they are all shredded completely. Add water to a large pot and boil it. Place all the shredded potatoes into the pot and leave until they become tender. Take a sheet pan and spray it with cooking oil. Drain the potatoes and then place them in patties on the pan. Leave until frozen and then transfer to containers for storage. Peel all the potatoes and then cut them lengthwise – they should be 1/3-inch in length and 3/8-inch crosswise. Take some cold water to rinse the potato sticks. Use paper towels to dry them thoroughly. Take those sticks and fry them in hot oil for about 5 minutes or so. Put them in sealed packages and use them within 2 months for French fries. Take some potatoes, wash them, and peel properly. Now cook them until they are almost tender. Leave them to cool off and then cut them into slices or halves. Prepare a solution of a tablespoon of ascorbic acid or half cup of lemon juice to a quart of water. Dip those potato slices in the solution and leave for 5 seconds. Add a couple of tablespoon of lemon juice to each quart of potatoes to avoid discoloration. Put them in an airtight container and freeze. If you want to know how to freeze potatoes that are baked twice, you should pay attention to the following steps. First, peel the cooked potatoes and mash them all. Add some seasonings and return them to the skin. Use plastic to wrap potatoes and then place them in freezer bags. They will be usable up to a month. If you want to prepare mashed potatoes for serving, you can do it with ease. Simply take mashed potatoes and pack them in airtight containers. Place them in the freezer to use later. Server responsed at: 04/24/2019 4:28 p.m.